Prositions Obtains Master Distribution Rights of Diversity & Inclusion and Harassment Prevention Content Library | Prositions, Inc. Prositions Obtains Master Distribution Rights of Diversity & Inclusion and Harassment Prevention Content Library | Prositions, Inc.
Prositions, Inc., announced today it has signed a multi-year agreement for the worldwide distribution rights of MYCA Learning’s entire content library of off-the shelf eLearning courses. 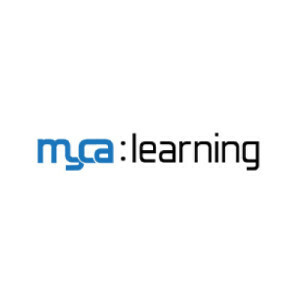 Featuring harassment prevention and diversity and inclusion training content, MYCA Learning is known for providing eLearning courses tailored to the end user’s specific industry and situation. Past clients have included corporate, government, non-profit, and education organizations throughout the United States. MYCA Learning’s flagship product, Harassment Education and Retaliation Overview (HERO), brings an entertaining mystery-style approach to the heavy topic of harassment training. Featuring four characters who get suspended, the viewer takes the role of the chief investigator, working to get to the bottom of what really happened. HERO invites participants to interact in a 3D virtual environment to challenge their understanding of their employer’s anti-harassment and retaliation policies. Preview it for yourself! This is Prositions’ third master distribution agreement since August, and is further enforcing their place in the content and training market. The eLearning courses and video vignettes created by MYCA Learning, coupled with the existing libraries of assessment tools and training materials, have helped Prositions round out its suite of talent development, technology, and consulting solutions.